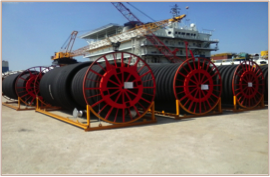 Mooring systems ltd operates a 4200 sq. 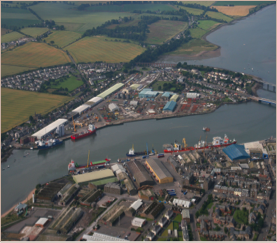 facility adjacent to the deep water quay on the South side of Montrose , Tayside. The yard is used to store larger items of equipment . 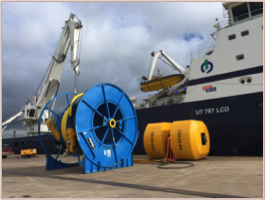 Tran –spooling operations have successfully been completed on the base using our 400te mobile carousel. 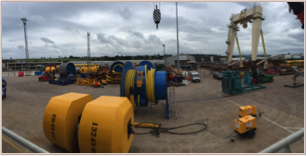 Wet testing , construction , and load out of a tidal turbine device . Storage and handling of 3rd party equipment for various clients. 650 sqm insulated warehouse . Full mobilization service offered. Cranes/ forklifts / Riggers / welders / inspectors / storage, inside and out. MSL operates a 650 sqm warehouse with mezzanine level, 2 offices, workshops, store rooms, and wash facility’s.